We specialise in bringing your messy books up to date from your past bank statements and recreating BAS’s. As bookkeeping specialists in Bendigo as we not only provide a complete range of Bookkeeping skills (Sales, Purchases, Payroll etc) but also provide BAS, Profit & Loss, Balance Sheet, Group Certificates, Superannuation Summaries, Creditor & Debtor Reports etc. We don’t just key data, but raise queries where we think necessary. Maurie’s Accounting Qualification and 20 years in Business enables him to provide accounting advice. He can also talk the talk with your Accountant or to prompt the owner to take up a discussion with their Accountant. We can even provide a range of Management Reports to show Cash Flow, What Ifs and comparison between years. We provide all the reports and liaise with your Accountant to ensure they have all the details needed to provide your Financial Statements and Taxation advice. We also specialise in home and business technology and can help you with any aspect of computing from setting up and training your new or existing Mac/Ipad/Iphone or Windows laptop/desktop to advanced services like cloud back-up, webpages and internet connections. We offer advice across Printers, Routers, Modems, Fax Machines, Mobile Internet advice, and will help you set these up so you can concentrate on your business. All done at your convenience, either at home or in the office. Note that the bookkeeping business of CMB Services is now trading as Bendigo District Bookkeeping so please refer to our dedicated Bookkeeping site. We cater to any budget or any size job. 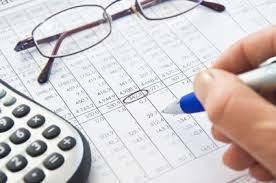 View our most common bookkeeping & accounting packages, or please contact us for a quote. We will provide advice on all aspects of technology that your home or business may require.